Working a later shift equals extra hours in the morning, which equals time to get a long run in. Of course, when I had some extra free hours on Thursday morning, I decided to use them for my long run. 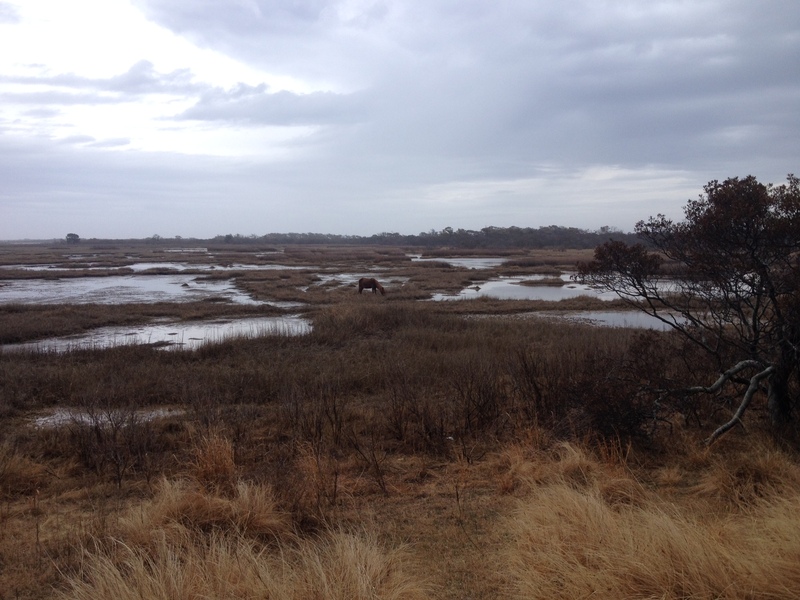 I already had a busy weekend ahead of me — that’s why I’m writing my blog post now, on Monday — and figured it would be a good time to get 14 miles in at Assateague Island National Seashore. 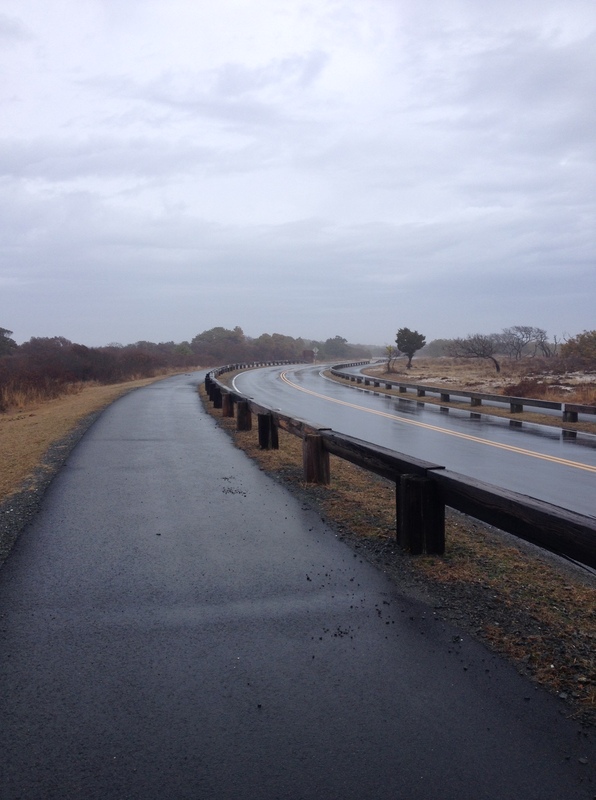 So, I ran the pedestrian bridge next to the Verrazano Bridge at Assateague back and forth — I went across it five-and-a-half times in addition to the first time I’d gone across it during my run — which was a good workout. I was also glad I did it in the middle of my long run. I haven’t combined the hill work and long run before, but that will be more like the real-life race. I didn’t get to see too many horses close up. (And as signs across the area say, you don’t want to get too close, anyway.) I saw some from a far distance, and I saw one that was off the trail, pictured above. On my drive out, I did see one that was either on the trail or very close to it. There were a large amount of horse droppings to dodge, so I knew they had to be around somewhere. 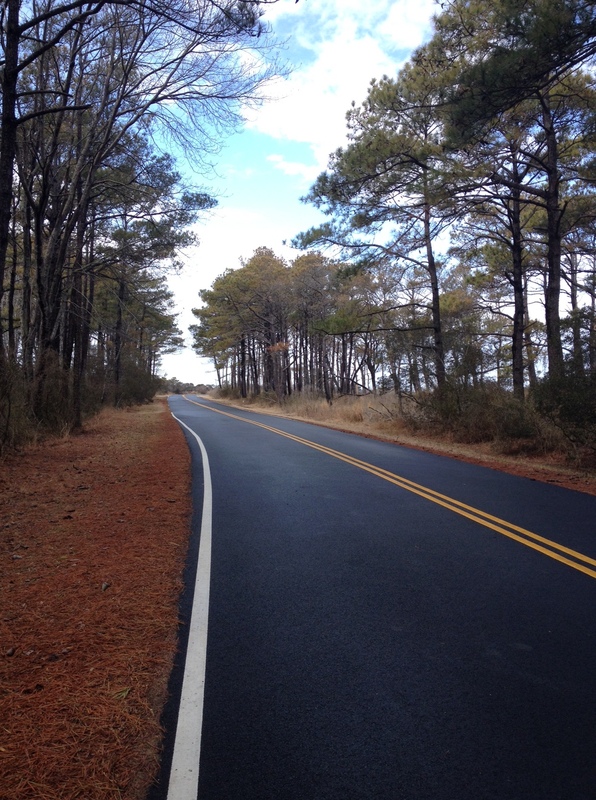 Assateague has a nice paved trail that runs from the National Seashore area to the visitor center. I parked at the Life of the Forest Trail, which is a boardwalk-type trail, ran that — it was short — and then ran to the visitor center on the paved trail before doing the bridge hill work and making my way back to my car for a drink of water. 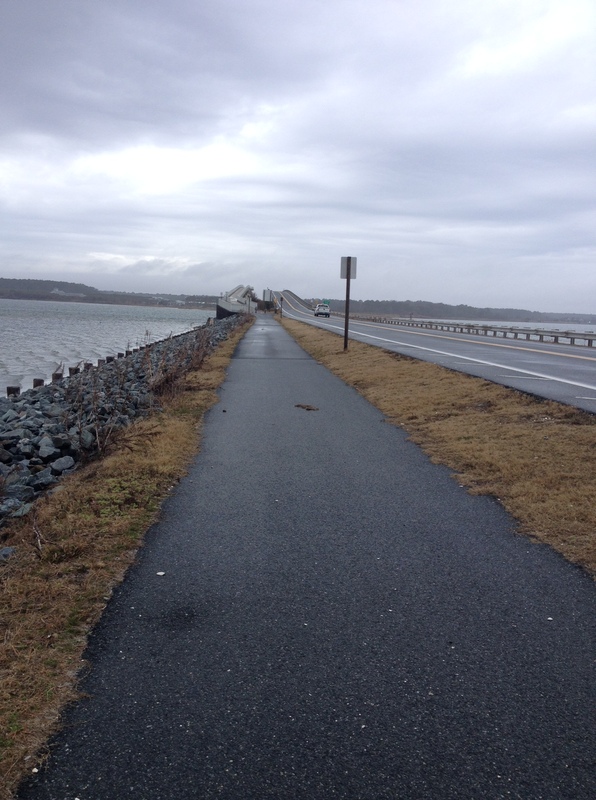 I then took a couple side roads and ran the Life of the Marsh Trail — also short and mostly boardwalk-like. It was a lot of out-and-back running, which makes sense, given the shape of Assateague, although sometimes for a long run, it’s nicer to have a long loop or loops. I was still happy to have different scenery, though, particularly since I was by myself. I was thankful to have nice weather. Rain was expected, and it did rain on my way home, but I only had a minute or two of rain near the beginning of my run. It was pleasant weather for a shorts-and-a-short-sleeve-shirt run. Before making my way back to Salisbury, I stopped at On What Grounds?, a new coffee shop in Berlin. I wanted to check it out after reading my Daily Times colleague Hannah Carroll’s article. Anyone who knows me knows that I do enjoy my coffee drinks and/or food after a run, and it was fun to try somewhere new while I was already out. I am running the Island to Island Half and we start by running that bridge. I would like to get over there sometime before the race to give it a try! Looks like you had a nice run!